They've been entertaining audiences for over 60 years but this is the first time the famous Muppets appear in a full-length live show in Europe. When The Muppets Take The O2 they'll be joined by special guests Kylie Minogue, David Tennant, Charles Dance and Kevin Bishop on Friday 13th July. On Saturday 14th July Peter Davison, Adam Hills and Steps join Miss Piggy, Kermit The Frog and all the crew. Must see moments include Miss Piggy in a show-stopping musical extravaganza and a musical jam by The Muppets' legendary house band with Animal on drums. There's also the debut of all-new original chapters of those classic Muppet Show sketches like Pigs in Space. Join The Swedish Chef, Great Gonzo, Fozzie Bear and furry friends for a witty show that doesn't just trade on 1970s nostalgia but has enough Kardashian in-jokes to appeal to a new generation of Muppet fans. What are the best dining options near The Muppets Take The O2 London? 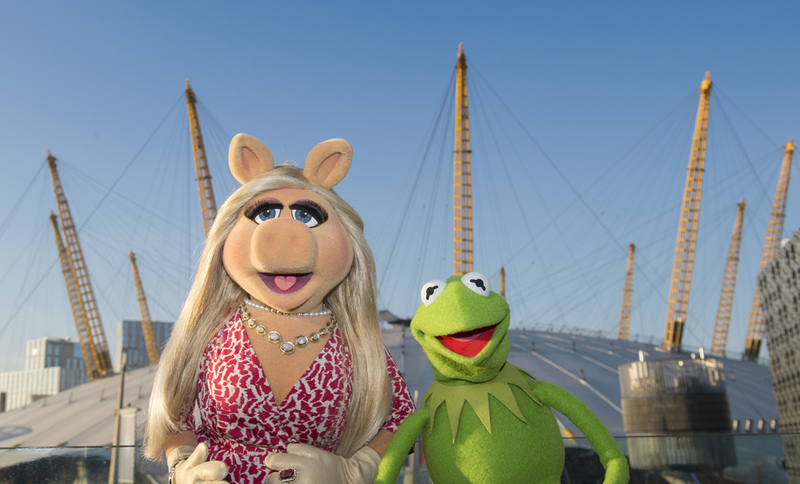 The Muppets Take The O2 gyms, sporting activities, health & beauty and fitness. The best pubs near London The Muppets Take The O2. The Muppets Take The O2 clubs, bars, cabaret nights, casinos and interesting nightlife. Where to have your meeting, conference, exhibition, private dining or training course near The Muppets Take The O2. From cheap budget places to stay to luxury 5 star hotels see our deals for The O2 Arena hotels, including InterContinental London - The O2 from 84% off.